I went spelunking in the closet earlier today and look what I found! 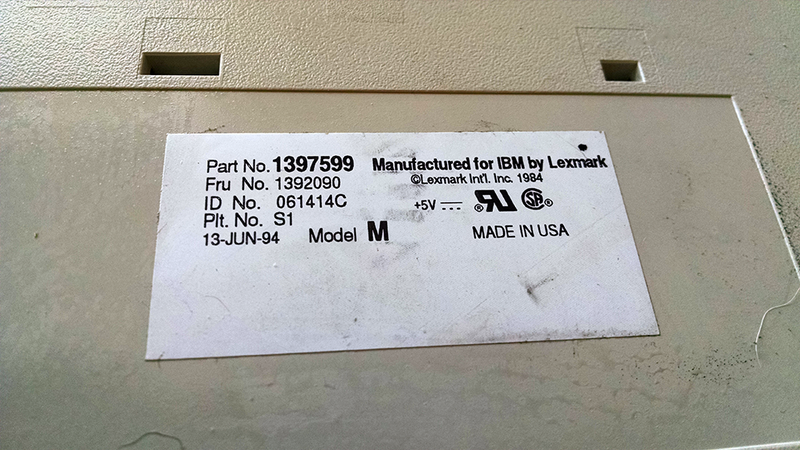 As I started taking it apart it became clear that this thing probably hadn't been cleaned since its birth in 1994. I think I gave the outside a cursory wipe-down in 2003 after rescuing it - it had been in a storage shed for years prior. 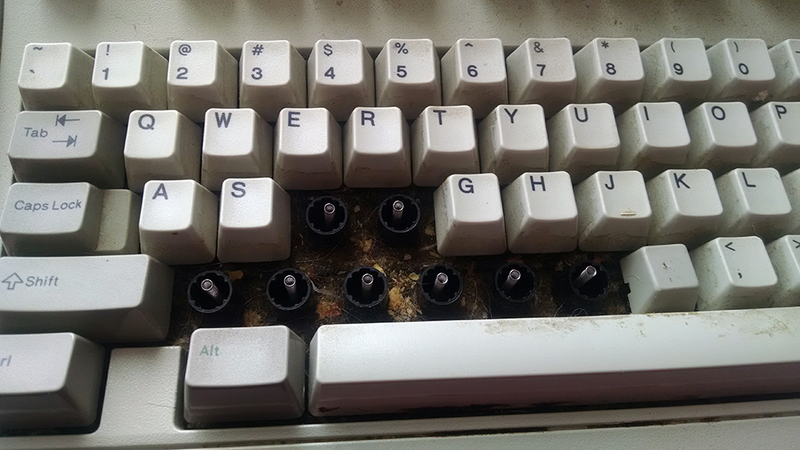 Once I had all the caps off, you could really see the years of gunk. I cleaned it, first via the "go outside, turn it upsodw down, and shake" method. I followed that up with some Q-tips and a Magic Eraser. 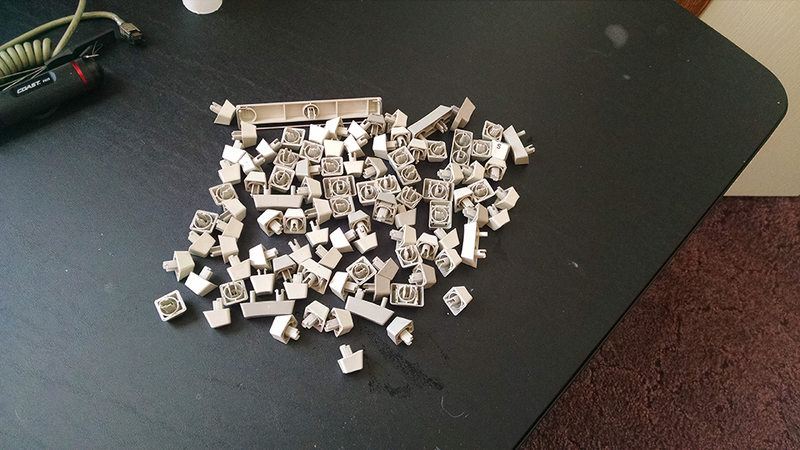 The tops of the keycaps were soaked in warm, soapy water, the bottoms wiped clean, and both halves re-assembled once dry. 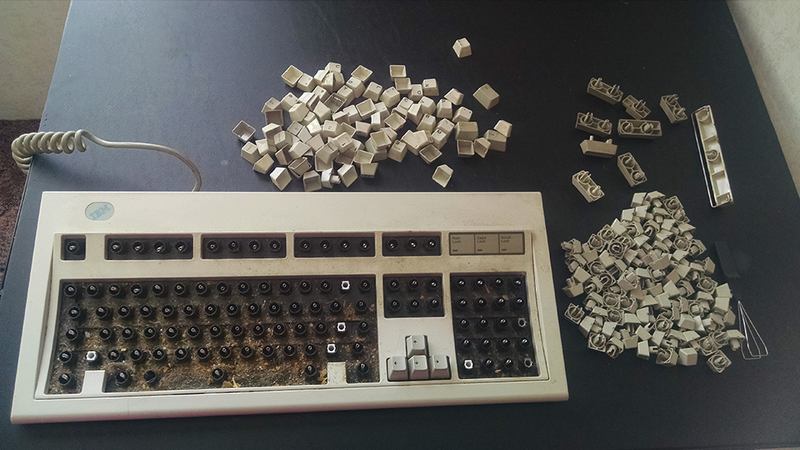 I had to take the Magic Eraser to a few caps, as well. I was a little concerned about damaging the legends and the texture on the caps, but I was gentle and they were fine. 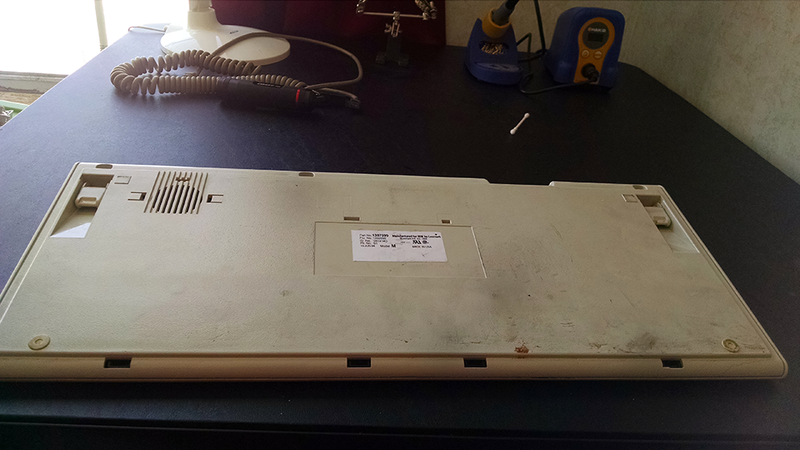 The back of the board was also pretty dirty. Here it is all cleaned up and put back together. It both looks and feels much nicer. 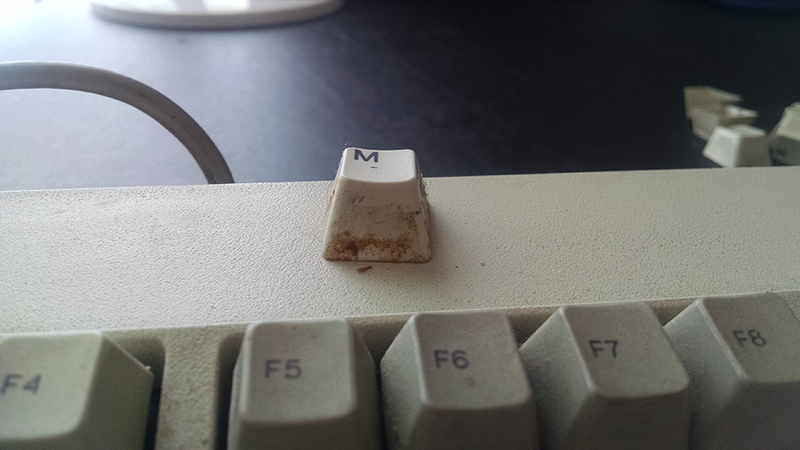 I plugged it in to an old PC and it's working fine (as it was before the cleaning - it was just dirty). I'd need to pick up a PS/2 to USB adapter if I wanted to use this on a regular basis. 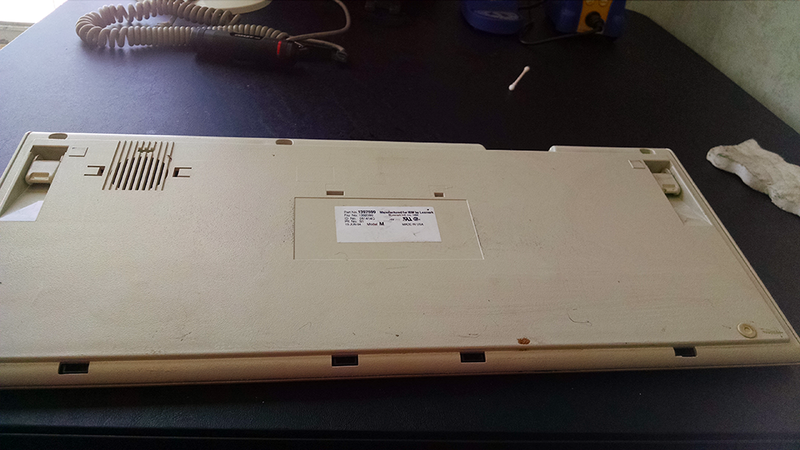 I was going to take it apart and clean the inside, as well, but the housing for my 7/32" socket is too big to fit in the holes, so I'll need to get a different nut driver first. I may bolt mod it at some point in the future. 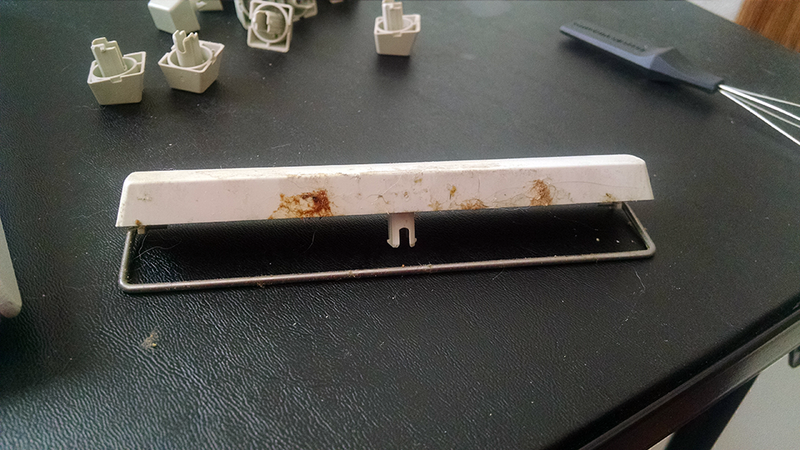 It only costs a few dollars to do (< $10) and it makes the keyboard practically indestructable. 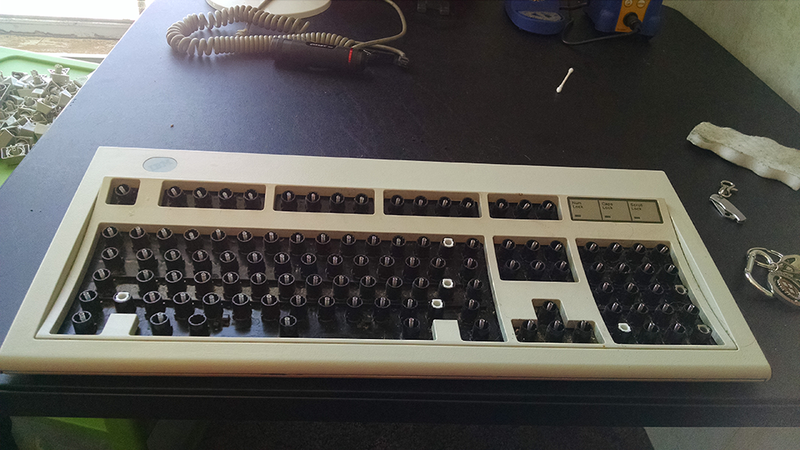 This keyboard is pretty much my weapon of choice for the Zombie Apocalypse, so making it even more sturdy sounds fun. I've been trying to figure that out. The board came into my posession in 2003 and I used it daily until probably 2009. 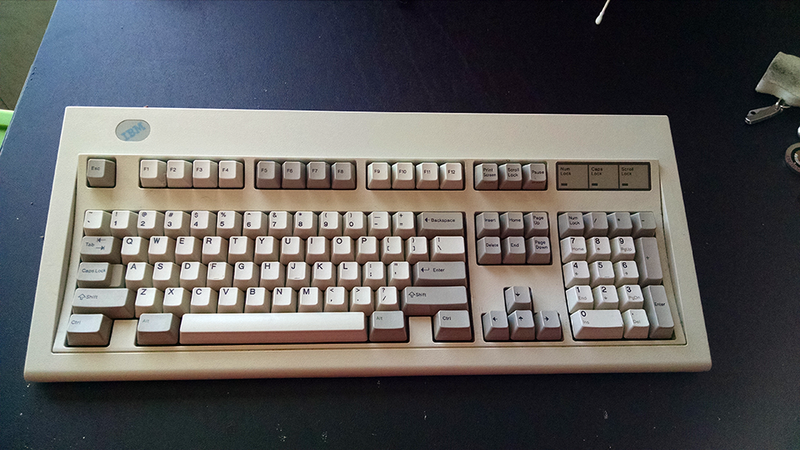 I love the way the buckling springs feel, but these days, the large footprint, lack of support for NKRO, and the lack of a system key make it impractical for everyday use. I tell myself I'm keeping it around in case I ever want to plug it in to something and write a novel. I've often considered selling it, but my fondness for it and its growing scarcity (in this condition) make me hesitant. It's the same reason I'm considering modifying it. Well, that, and "because I can" .... and Zombies.